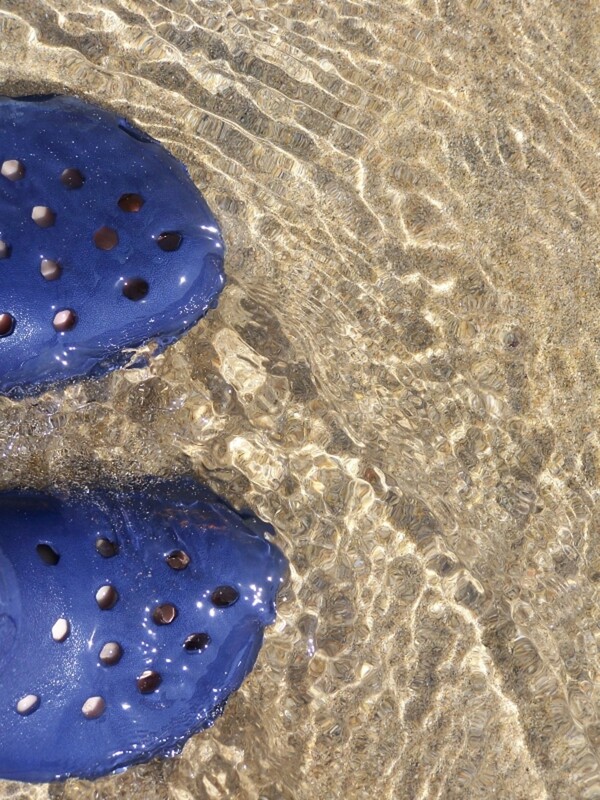 With over 150 beaches and coves Cornwall has something to over beach-lovers of all types. 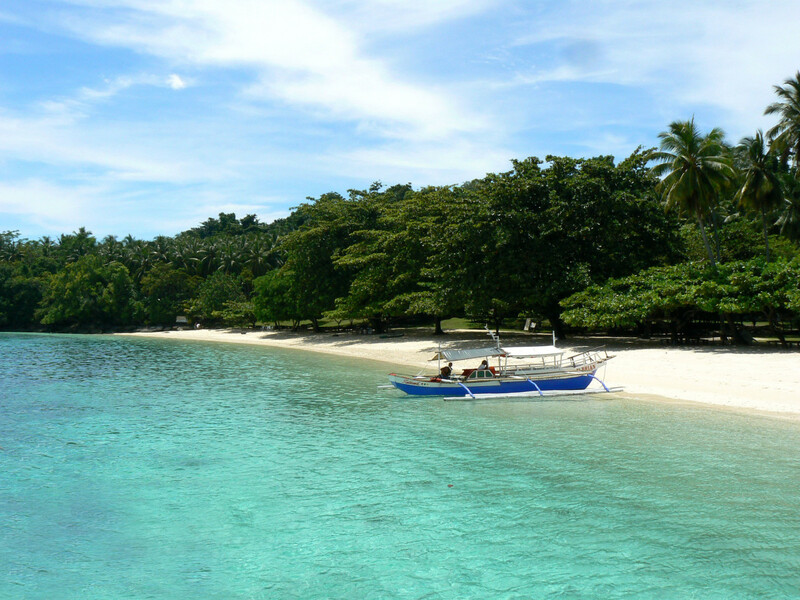 From golden sand beaches stretching for miles to secluded rugged coves with a heritagesmuggling and pirates. This was a toss up between Porthcurno and Kynance coves. Both are on the south Cornish coast and both are undeniably beautiful. In the end I decided to opt for Porthcurno as I could invent another section for Kynance! Porthcurno is best known for 2 things; the clear, turqoise water and the Minack Theatre. The Minack is an open air theatre perched on the cliffs above the cove with the Atlantic Ocean as a backdrop. 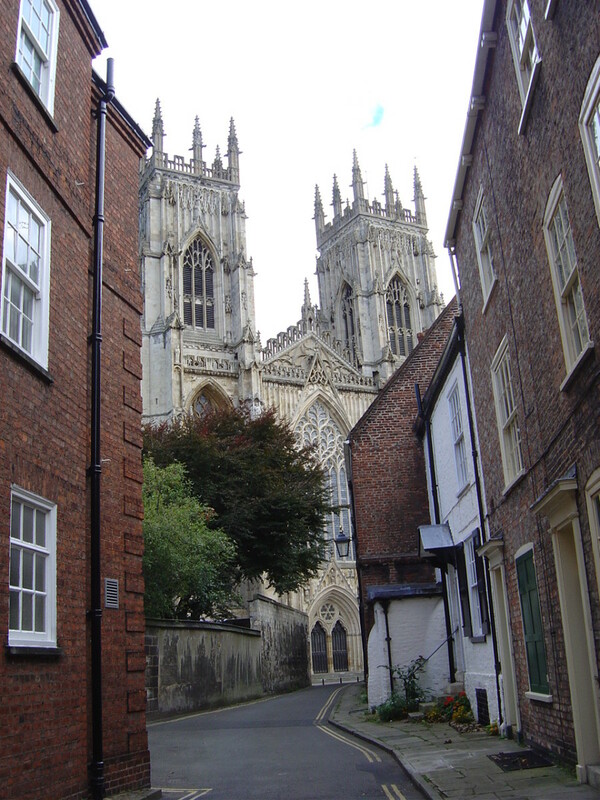 It was largely constructed by one woman, Rowena Cade, during the late 1920s. The Minack aside, Porthcurno abounds in natural beauty and drama. It is no wonder that more than one successful photographer have built their careers on this location. The cove itself is set in a valley between high granite cliffs which seem to form into rounded cubic blocks in places. At the extreme southern headland is Logan Rock, a several ton stone that in the past could be rocked back and forth. As mentioned before the sea here is a stunning green-blue. This is attributed to the reflective properties of the coarse sand of broken sea shells. 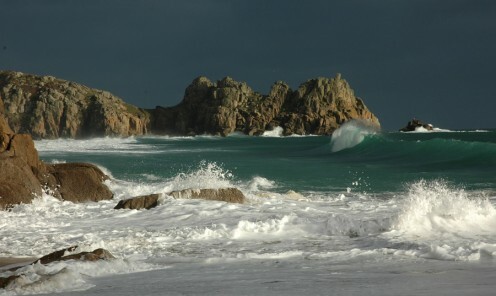 As an added bonus Porthcurno can be witness to some fierce Atlantic storms and huge crashing waves just add to the drama. Again another tough call as the North Cornish coast is full of great surf beaches and the south coast has some rare but classic spots. However, I think I am going to be very conservative and opt for the best known of them all, Fistral Beach in Newquay. Other contenders would be Porthtowan, Penhale/Perranporth and Praa Sands all, of which are great surfing beaches, but it is Fistral that is the most consistent and flexible. Facing west with just a hint of south Fistral picks up plenty of Atlantic swell. What happens to this swell depends on which end of the beach you are at. South Fistral is a little more sheltered from both the swell and southerly winds. There are often some quality lefts to be had here. North Fistral is the main stretch of sand in the middle of the beach. Unlike many beaches on the north coast it can hold a decent sized swell and works through the tide. The best waves are often fast hollow rights at low tide. Little Fistral is at the far north of the beach and only surfable at low tide because of the rocks inside. Again this is a spot capable of producing quality lefts and rights. On the downside, Fistral is one of the best known beaches in Europe and as a result can get very crowded. In the summer, if it is less than 4 ft it probably isn't even worth thinking about. In the winter though there are still plenty of days when you can get an epic session. With Cornwall's recent elevation in the foodie stakes there are a host of beachside cafes catering for all wallets. The best known (but by no means best) is celebrity chef Jamie Oliver's 15 at Watergate Bay. Other contenders include the Blue Bar at Porthtowan and the Beach in Sennen. 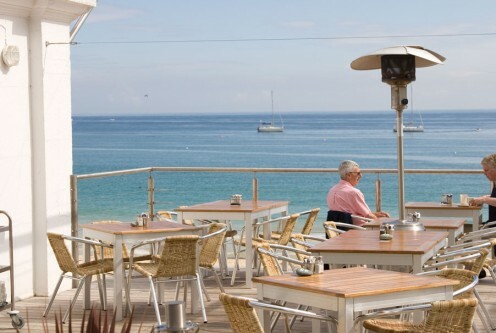 However, the general consensus seems to be that the Porthminster Beach Cafe in St Ives ticks all the right boxes. It isn't cheap but manages to pull off relaxed beachside dining with well presented, quality, fresh food. Porthminster Beach itself is a Blue Flag beach nestling under the cliffs on the edge of St Ives. The sand is fine and the sea is rarely rough making it agreat beach to relax and enjoy some fancy food! Any of the beaches with the Blue Flag award are pretty safe choices for a family day out. The award is based not only on the quality of the water but facilities such as lifeguards, toilets, access etc. 3 of these beaches are in St Ives (incl Porthminster above) Other's include Marazion, Polzeath, Sennen, Porthtowan and Crooklets in Bude. My choice would probably be Marazion for a couple of reasons. Whilst all these beaches are safe and have all the facilities you need they don't all have the things kids love, i.e. rock pools and streams. Marazion has both of these and being set in the shelter of Mount's Bay is pretty safe. The beach here slopes so gently that it is a long walk to get out of your depth too. 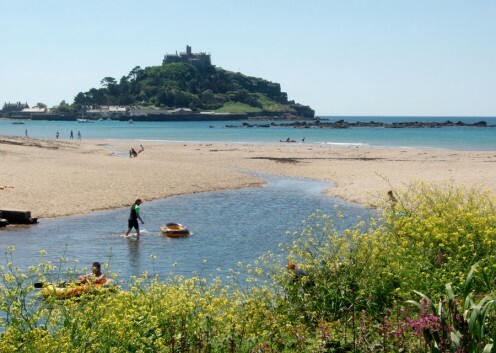 An added bonus of Marazion is the fact you have a whopping great castle on an island as a back drop! If you get bored you can always take a boat ride (or walk at low tide) over to St Micheal's Mount. Of course if you have an action family, or older kids then maybe one of the north coast beaches might be more suitable with Sennen topping my list here. There is nearly always some surf here and the beach is more than adequately lifeguarded. Perhaps the best known smuggler in Cornwall was John Carter - the King of Prussia. 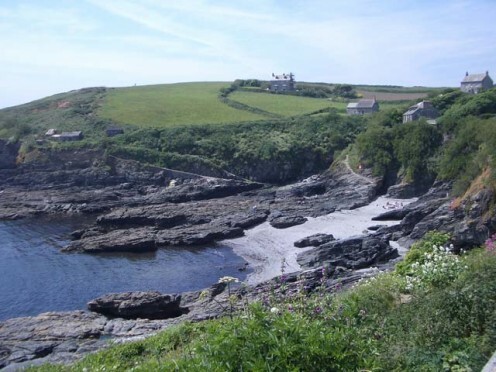 Carter and his brothers, Harry and Charles ran their smuggling operation from the small cove that was then known as Porthleah. Located about 6 miles east of Penzance the cove provided a natural harbour offering both shelter and seclusion. It is even said that the caves in the cliffs where connected to the house above via series of secret passage. A top 10 list of my own favourite places and things to see in Cornwall. As a long time resident these aren't all the same old Cornish tourist attractions - hopefully there are a few you hadn't heard of in here too. I've added a few more here on my Top 10 beaches in Cornwall page. Still very much a subjective selection. To be completely honest some of the choices were influenced by the quality of the photos I'd taken! Did I mention http://www.porthemmet.com/ Cornwall's best pretend beach! great hub, I just linked to it from mine! Nice Hub - I certainly agree with your best beach for eating. We have just bought a small pad in St Ives (which we have to rent out in the summer) but we love staying there through the autumn and winter months when it is quiet and just as, if not even more, beautiful. Driving down from the South east,west Cornwall might be a bit far although you are right, Porthcurno & St Ives are quite worth it.Thank you for that tip on Newquay coz I was exploring options there since its a little more closer for us.Bude,I read,is a bit commercial.Oh sure,our trip is at the end of December.Infact apart from the natural beauty,the relatively warmer winter in Cornwall is a major plus! Definitely Cornwall! And if you want it to be romantic make sure it isn't in the Summer. 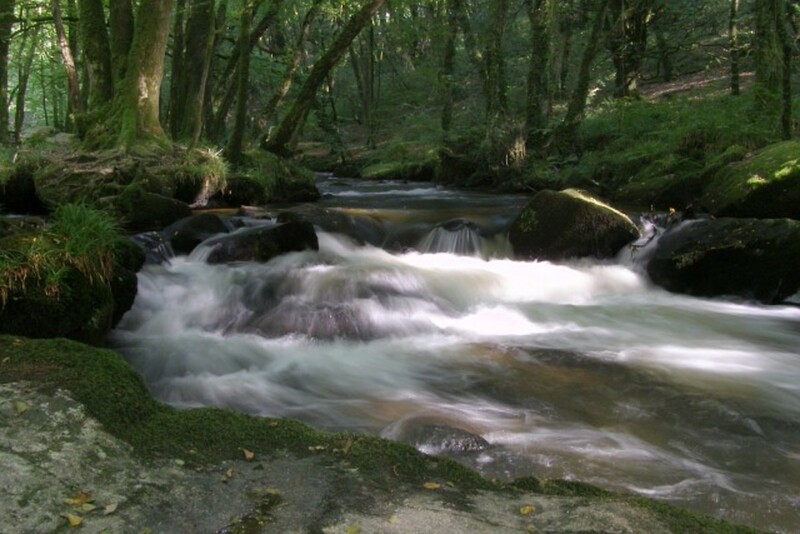 I think I'd go for West Cornwall as it is wilder than most places! Then you are within spitting distance of Sennen, Porthcurno and the St Ives beaches. I'm planning to celebrate our first anniversary at a seaside B&B in UK. I've heard Cornwall is the best but dont know which one in particular would be ideal.I'm open to any county in the south as long as its sandy.Its in the winter and we arent looking for any activity, just maybe long walks.Felt you might be able to help me. Would you please suggest a calm romantic sandy beach? Hi Eric. Yep, that'd be Pedn Vounder - not necessarily what you'd want to imagine when you think nudist beach, but they're harmless enough! I went to Porthcurno Beach based on it being the Ross-Demelza reunion film scene in POLDARK. It was beautiful. East of here I accidentally landed on a nudist/naturalist beach. I'd stashed my ATB in some vegetation above the cliffs, changed into my trunks, and climbed/slid down the cliff face. It was halfway down I realized it was a nudist beach. I couldn't climb up from there, so I slid the rest of the way down, landing with a comic thud on the sand amongst the nudists. They were welcoming and encouraging. I didn't disrobe, being relieved to see there were a few who had partial coverage. Elderly nudists played in the water like children. The water was so cold (March/April), it made my kneecaps ache. From the clifftops, looking west of here, I saw three whales come right into a cove -- two large and one little one. They came right up to where the cliffs plunged into the sea. The Cornish Coast inspired some of my travel writing. I love Cornwall! I have been only once, but I'm dying to go back! Minack Theatre has long been on my &quot;to do&quot; list! Thanks for sharing! Hi Joy, would love to say I know the exact beach o recommend but unfortunately not. Without the pooch you might have half a chance, there are some nice beachside cafe/bars at Porthtowan, Praa Sands and Porthminster. ....And, please, which is the very best beach, overlooked by a pet friendly, hip, relistically priced hotel, clifftop, preferable... in Cornwall? Dog friendly, long, wide, SANDY calm, yet dramatic, with a good bar/cafe..and near or within a buzzing yet cosily nostalgic atmosphere..good simple food, not haute cuisine...live band or two playing at hip bars....with a refined but ultimately comfortable 'Miss Marple' cream tea type tearoom, a few decent shops, a1950-60's feel, yet also contemporary? Do please respond, should love to know if ther exists such a venue...logic would have on such...but we are in Europe, but not without all the tiresome restrictions imposed on simple fun...such as 'dog friendly', P.C., jobsworths, 'Ealth &amp; Safety, road rage etc. Please do help us to help find a short break holiday!!! With Very Kind Regards, Joy. 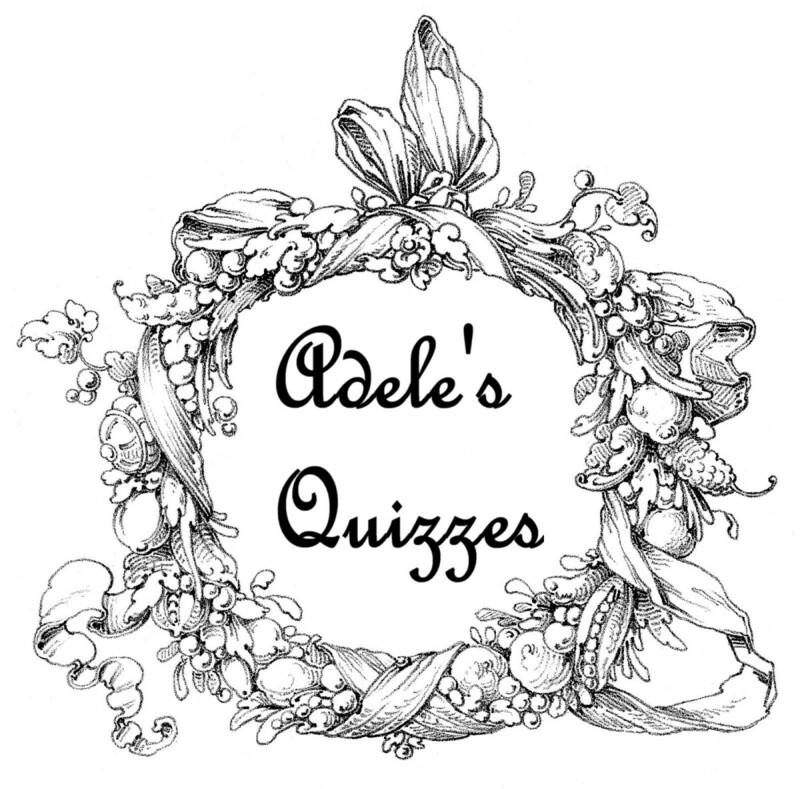 Very good reviw, have added it to my UK based hubbers review. Widemouth Bay is one we surf on quite a lot - reliable at most tides. Hi again,just looked at another couple beaches,same problem as been having for weeks now,the stupid dog ban,starting to wish we had just gone back to scotland no problem there going on any beach and the beaches on Harris and Portuairk would give anywhere in the world a run for their money,Cornwall is not seeming very dog friendly,their loss,a lot of tourists have dogs. I spent a week in Cornwall with my family when I was twelve. It's a treasured memory for me. My little sister and I had a lot of fun collecting what my mom called "wish stones" (smooth grey stones with a white ring going the whole way 'round) and tossing a few in the ocean in the hopes our wishes would be granted. I think I still have a few of them lying around somewhere. Cornwall? I would have never guessed that it was so interesting and beautiful. Thanks for the discovery. I'll need to make a point of visiting next time I am in the UK. Marazion Beach sounds like a hit with children. Very nice hub. I love Cornwall, it's so beautiful, but so far I've only been there once. (We stayed in Port Isaac, and travelled around a little bit). I really hope I get to go there again one day, and this hub is making me want to go even more!